Article by Writing IE Admin © 10 August 2015 . Posted in the Magazine ( · General Fiction ). When I was seven years old my mother took me to Ligoniel Library in Belfast and I got my first three library tickets. Every Friday after school I would be escorted to the Library and felt the real thrill of excitement at being able to enter into another world – the world of the writer. I loved the plots and adventures which writers created and the way you could enter into the character’s mind and know them. When “The Troubles” began I was only eleven and the world became a scary place to live. I found that books now offered even more as a consolation and an escape from violence. It became even more important to find people within books who could inspire. “The Troubles” continued and my family experienced traumas like many other families. We were forced out of our home in North Belfast after being threatened at gunpoint. We moved into a house on the Crumlin Road – “the Peace Line” – and experienced car bombs exploding outside the front door. During a particularly violent time in summer 1972, hundreds of people were killed within a few miles from home. We listened to bombs exploding in the distance, heard the rioters cursing on the road outside, the crashing of petrol bombs, the splattering of machine gunfire. The house was both a prison and a sanctuary. It kept us safe but you couldn’t go out and live a normal teenage life. So books became even more significant, with the writers – my friends – opening worlds which were not violent, but where I could learn about human nature. I was interested in how could people change? How could the violence that moved from one generation to another ever end? I began to be interested in psychology. I studied for a Masters in Consciousness Studies and Transpersonal Psychology at John Moore’s University in Liverpool while still working as a Leadership Consultant. I kept journals of my thoughts, books I had read, how they had inspired me. I found myself writing snippets of poetry and the journals grew and grew – until I had ten years of writing. The letters came with me to Mallorca when in 2001 my husband and I decided to leave the security of full-time employment, the company cars and more importantly friends, and head off on our own adventure to Mallorca. In a house in an olive grove, high in the mountains above Soller, with no running water, no fixed line telephone, no internet, I started to write. I looked through my journals for inspiration, but I felt drawn to write not autobiography but fiction – to tell a story – create characters, explore how they could change and how they could be connected. I was determined to take the craft of writing seriously. I enrolled on two Cornerstone editorial workshops. I sent my early drafts of Eden Burning to Cornerstones for feedback. I studied how to build characters, create dialogue, and introduce emotion within a plot structure. I adored the art of writing. I found a routine which worked well. I would get up early and go for a walk with my husband and we would talk about the plot, the characters and what might happen to them that day. I would come back home and write. I made sure that I didn’t distract myself by doing other ‘stuff’. I wanted to hold onto the purity of being in nature and bring that back to the writing desk – that sense of clarity and stillness within which I could dedicate four hours every day to creating Eden Burning. I developed a mentoring relationship with Rachel Connor – a published author and Senior Lecturer in Creative Writing at Leeds Beckett University. She has a real gift for giving feedback – and she was very significant in motivating me to keep going with all of the re-writing and shifts in plot and characters. Eden Burning became a story which allowed me to explore the full spectrum of human nature. I wanted it to be a story of hope – that within the deepest darkness – there is always a light which flickers. 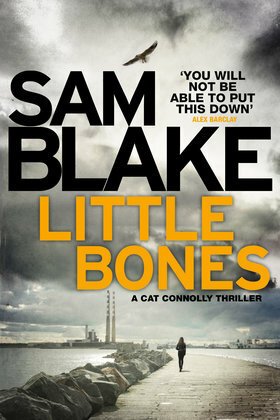 I wanted to understand the motivations of the key characters – what made them who they were? What frightened them? What did they love? What did they want from life? I’ve always had a fascination for myths and symbols – so Eden was perfect for me – the symbol of an original purity, innocence, oneness, harmony which although lost, could be restored but at a great cost. The symbol of the fire is so deep within us – so rooted in our humanity. The burning of a fire which purifies, atones, cleanses and makes new. Once Eden Burning was finished, it was a matter of finding a publisher. I bought the Writers’ and Artists’ Yearbook, created a submission package and started to send this to a few agents. As I was doing this I met a friend at a Conference who had attended one of my leadership workshop years ago. We chatted and I told her about my book. She told me about Matthew Smith at Urbane Publications (@urbanepub). I looked at his website and loved his values and approach. On a Friday evening towards the end of last year, I sent Matthew the submission package. I kept checking email every few hours. I didn’t have to wait long. That Monday Matthew sent me an email to say that he would like to talk about the possibility of publishing Eden Burning. That has to have been one of the most exciting calls of my life. Eden Burning had found its home. Tom listened to Mrs McLaughlin’s brogues briskly clump across the marble floor towards the exit at the back of the Church. When the wooden door thumped closed, he looked around the Church to make sure that he was alone, then heaved himself to his feet, opened the Confessional, blessed himself, and in the darkness whispered to Father Anthony, ‘Father, get me a gun’. Pick up your copy of Eden Burning online here! Based in Mallorca where she runs Seven Rocks Consulting, a leadership development consultancy she founded with her husband, Deirdre brings her vast experience of emotional intelligence and mindfulness to bear in her creative endeavours. 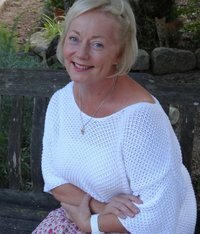 Taking inspiration from experience, Deirdre has not only painted with Argentinian artist Carlos Gonzalez in Palma and Natalia Spitale in Sóller, she is also a winner of the Alexander Imich Prize in the US for writing about exceptional human experiences, and the Birmingham Trophy Prize in the UK. 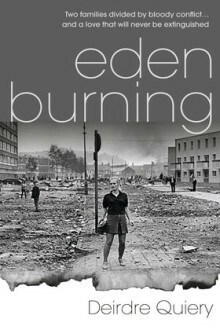 Eden Burning is Deirdre’s first novel and is shaped by her experiences growing up in Belfast during the Troubles. She is already working on her second novel, Gurtha.